For every second a volunteer spends tutoring a child, serving a meal, caring for a patient, or showing our residents how to get their lives back on track, they are changing the world. Their love and compassion goes far beyond our campus and their dedication reminds our homeless neighbors that they are important and that they are able. When did you start volunteering at the Sulzbacher Center? I started volunteering a little more than 10 years ago when my oldest daughter was in high school. She’s now 25. I first learned about the Sulzbacher Center through my husband who knows Audrey Moran, a former Sulzbacher CEO. There are a lot of places you could choose to invest your time. What attracted you to the Sulzbacher Center? The children. My family and I started out doing Christmas stockings for the entire shelter. It was a way for us to make the residents’ holidays better and it helped my children realize how fortunate they were. What’s your favorite memory from the times you have spent volunteering at the Sulzbacher Center? That’s a hard one. I love seeing the faces of the kids at the Back-to-School Carnival and I love seeing their faces light up when we serve and pass out stockings on Christmas Day. Why do you continue to volunteer at the Sulzbacher Center? The truth is I thoroughly enjoy working with Maxine. She is practically like family and I couldn’t do anything with her. 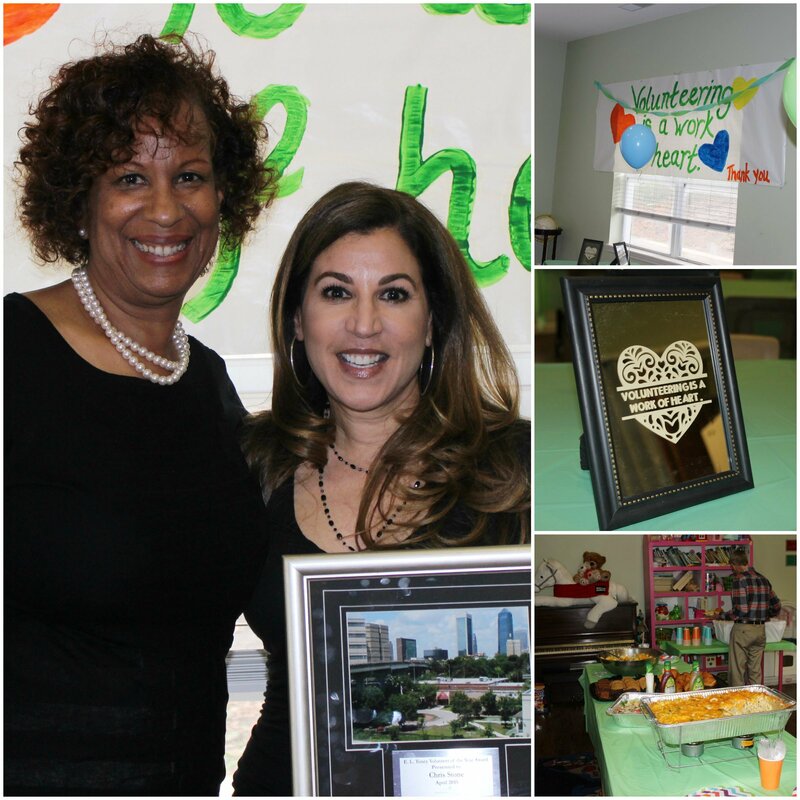 What does it mean to you to be the 2015 E.L. Toney Volunteer of the Year? I am overjoyed. It means so much to me. To be recognized for doing something I love doing is amazing. I feel honored just to be working with Maxine. Thanks, Chris, for all that you do for the Sulzbacher Center! We’re so thankful to have you as a member of our Volunteer Village.